Such nice wallie and a mysterious feeling! Awsome walla u made there! Its really kinda mysterious hehehe. What a wallpaper for my computer..
You chose very suitable stocks for the background and the background suits the scan. it's amazing scene after all... mysterious world indeed! The BRS world reminded me of the mental space of us humans somehow.. nice wallp. good! 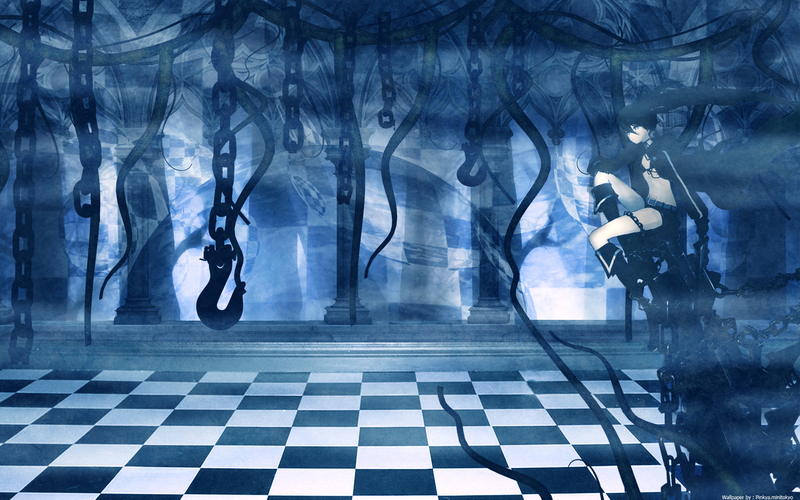 add more picture from the black rock shooter! Verry coool! Thanks! Great job!